If you have bad debt or old debt, you will need to clear it up and pay it off, especially if you are preparing to buy a house. 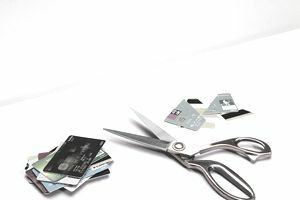 You need to clean up your credit history. Bad debt is debt that you are not current on or you have stopped paying on. Often this debt is in collections. If you work carefully you may be able to negotiate to pay less than you owe, since many collection companies buy the bad debts for much less than you owe. It is important to realize that settling a debt is different than paying it off. It will read as settled on your credit report instead of paid off in full. This can lower your credit score, but clearing up existing bad debts is better than letting them sit on your credit report. You need to gather the list of your bad debt. A great way to do this is to order your credit report. You should begin by listing the amounts you owe, and the companies who currently hold your debt. You may find that the companies have sold your debt to collections agencies, if this is the case, then you will work with the collection agency rather than the original company. You need to figure out whom you owe the debt to. Take the time to look over your paperwork very carefully to make sure you are dealing with correct company. You should order the debts from smallest to largest. Contact the companies one at a time. It is best to have the amount you are willing to pay ready. If the debt is small and less than $500.00, it will be easier to pay the amount off. When you try to negotiate a settlement, you will need to pick a reasonable amount to offer. If you can afford to you may just try having the company drop some late charges and other fees. If you have the money, it is better to pay the debt off in full. If you are having a hard time reaching someone over the phone, consider going in and discussing the matter in person if possible. Once you have negotiated a debt settlement, then you need to request that they send you the agreement in writing. This will give you proof that you paid off the debt in full. Once you receive this, then you send the check for the agreed upon amount to the company. This protects you from the company going back on the agreement. You should send a cashier's check or a money order and not a personal check. You will need to keep this letter with your important documents indefinitely. Once you have cleared up one debt, then you need to move on to the next one. You will go through the same process with each bad debt on your list. It may take you a few months to save up the money to negotiate a settlement, but it will be worth it. If you only have a few items you should be able to move through the list quickly. If you have several, it may take more time, but it is worth clearing up your credit report. You should start on this list once you are current on your utility and other bills. You may also put off dealing with the bad debts until you have worked more on your debt snowball. However, the companies that you owe can sue you and garnish your wages, if this were to happen, that debt should jump to the top of your debt snowball. Staying current on your utilities and active debts will also help raise your credit score. Any debt that is forgiven is considered income, so it is important to take that into account when you negotiate a debt settlement. You may want to adjust your withholdings so that you do not owe the IRS at the end of the year. It is an easy process to change your withholdings as needed. You should do everything you can to prevent yourself from becoming delinquent on your bills in the future. The best way to prevent this is to follow a budget, get out of debt and to save money each month. It will prepare you for emergencies and other unexpected bills. You can begin to clean up your finances today. Although it may take some time to clear up old and bad debts, it is worth it. You no longer have to worry that the debt is going to come due suddenly. It also clears up your credit report, which will make it easier to purchase a home. You may be considering using a debt settlement company, a credit counseling agency or declaring bankruptcy to deal with your debt and get a fresh start. There are implications with using each of these options. It is important to carefully research each of the companies before you use one because even though there are legitimate companies out there, some are scams or unethical. Settling the debt yourself puts you in control of the entire process.